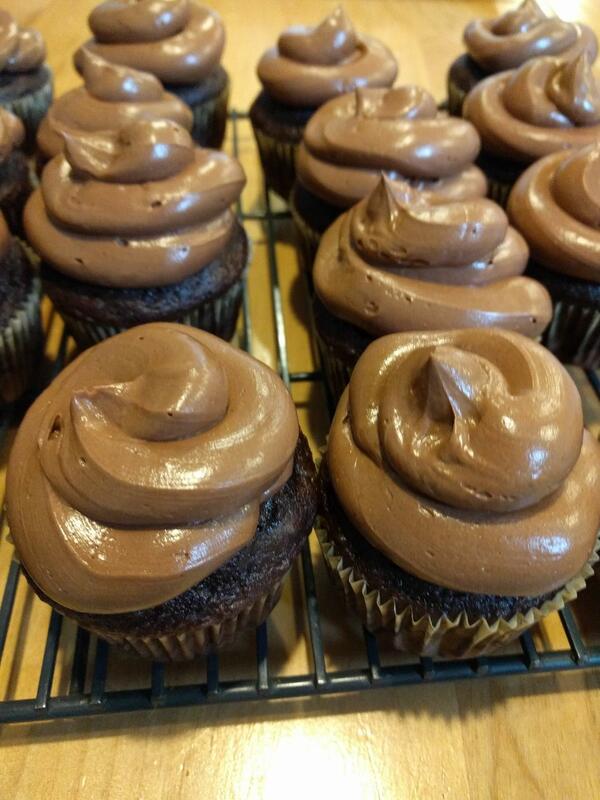 By now, you might be asking yourself what do I do with all these cupcakes? Fortunately I live in a building where a lot of the cupcakes are eaten, but I also take them into work with me or give them to the school for the teachers. Most people are pretty pleased, even when the cupcakes aren’t the best of the best. This is another cupcake that gets talked about. People keep bringing this one up and how much they liked it. 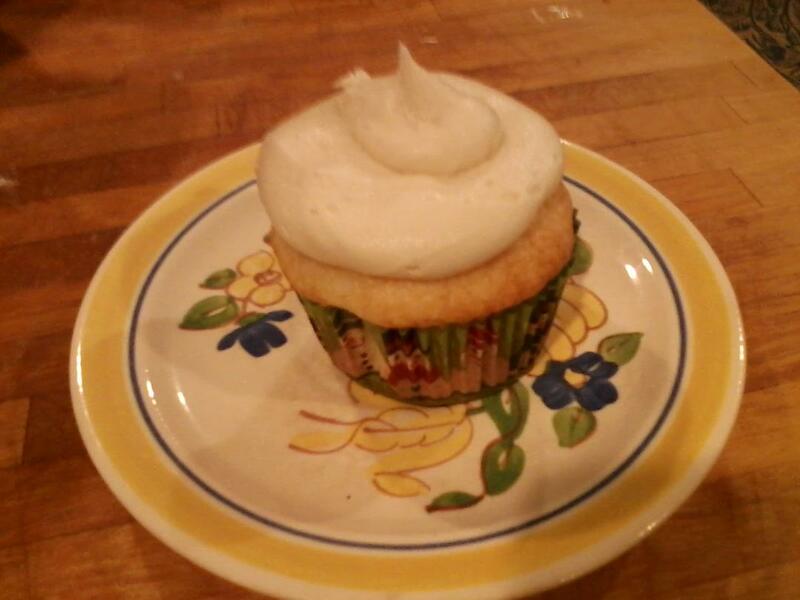 It also taught me how to make Swiss Meringue Butter Cream frosting. 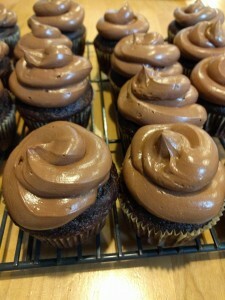 The first batch took me 45 min to cook the syrup, and another 45 min to make the frosting. 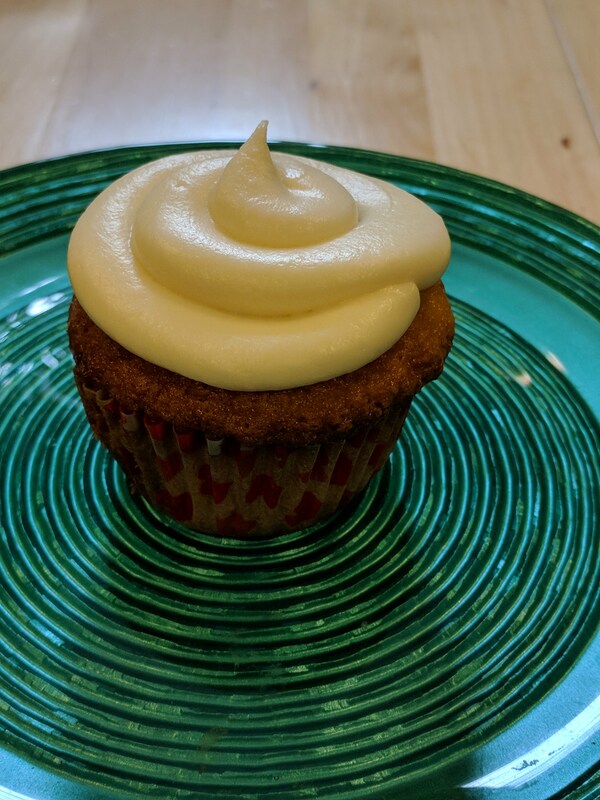 I have since learned you can cook the syrup in the microwave, cool it, and then make the frosting and it turns out just as good. This cupcake is yellow cake with homemade salted caramel filling and Swiss Meringue Butter Cream frosting. These I made for my neighbor Bernie’s first birthday. Mostly because I thought little girl’s first birthday cupcakes should be pink. 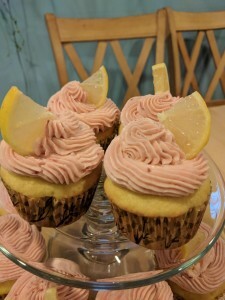 It is lemon cake with strawberry jam filling and strawberry lemonade Swiss Meringue buttercream frosting. This is where I found out that much jam in a Swiss Meringue makes a weird mouth feel. If I re-make this, I would make a cream cheese frosting base instead. 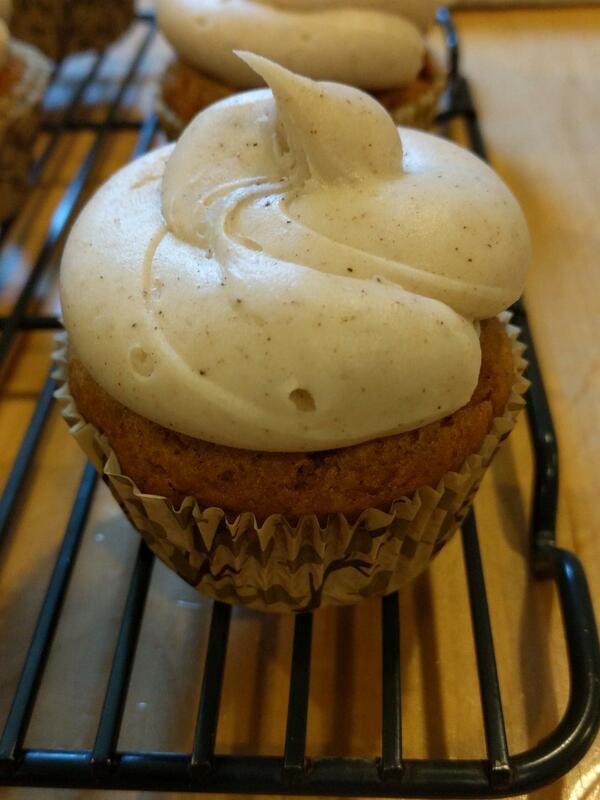 The Pumpkin Ginger cupcake is another that is talked about. 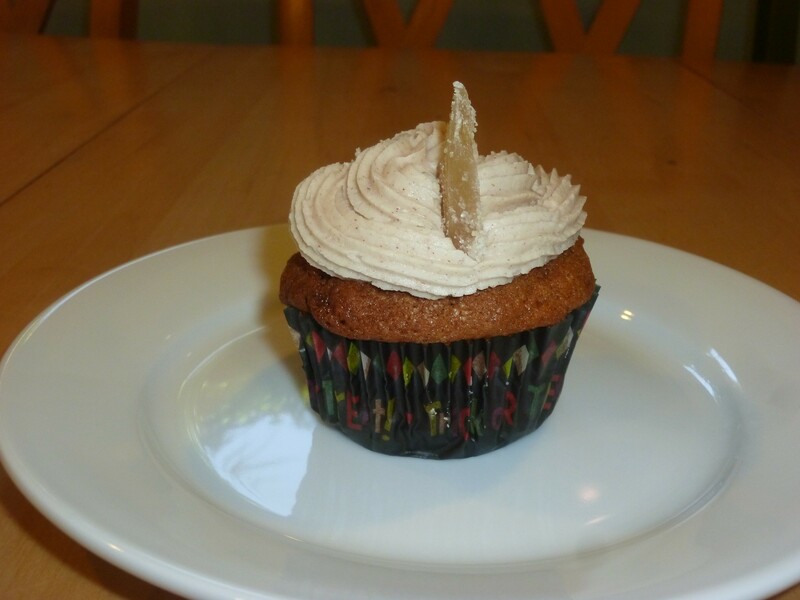 It is a pumpkin cake with crystallized ginger chunks and a cinnamon pumpkin spice cream cheese frosting. 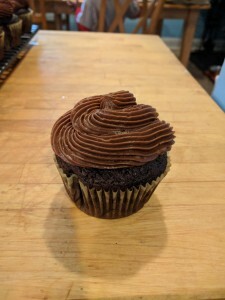 The last one for the month, and yes, if you were counting that is four new flavors, is Triple Chocolate It is chocolate cake with chocolate gauche filling, with a chocolate cream cheese frosting. 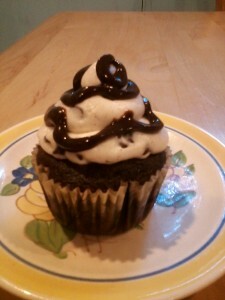 This is where I learned to make cream cheese frosting chocolate. I think I am in love! 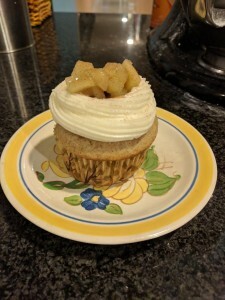 I created this recipe on my own as well. 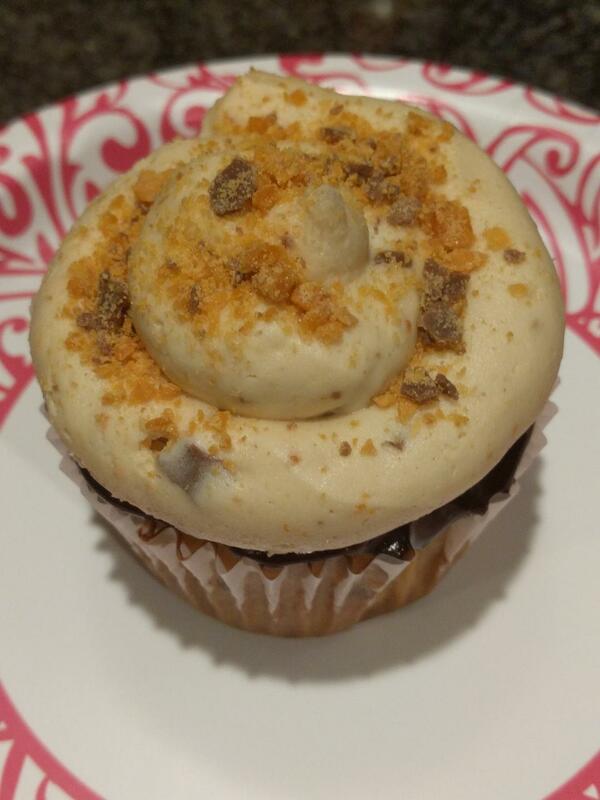 It was in September that I realized my goal of making one flavor of cupcake a month would not be enough. That is when I started to make two, and quickly I have realized I make at least three. The third one comes along sometime mid-month or the month before while I have all other flavors planned out for the rest of the year based on fruit in season, birthdays, and holidays. 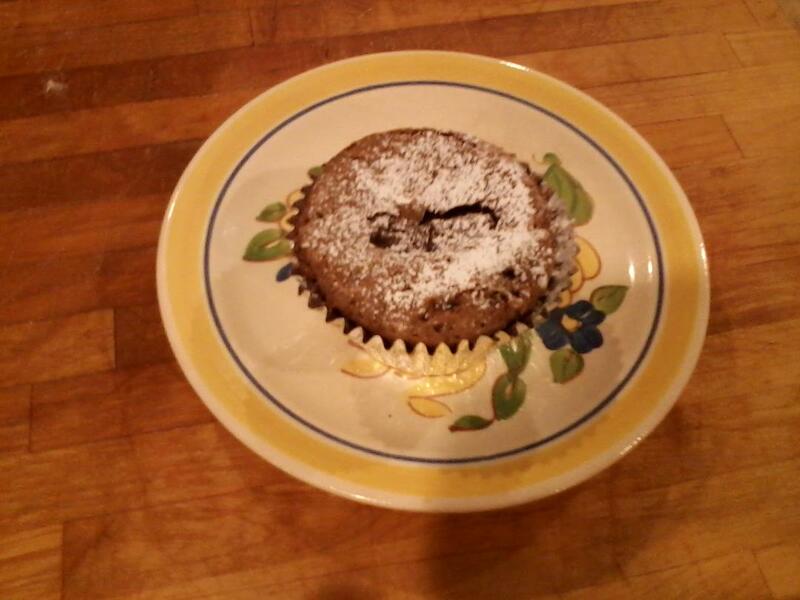 This is a chocolate mocha cake, with a little bit of cinnamon. 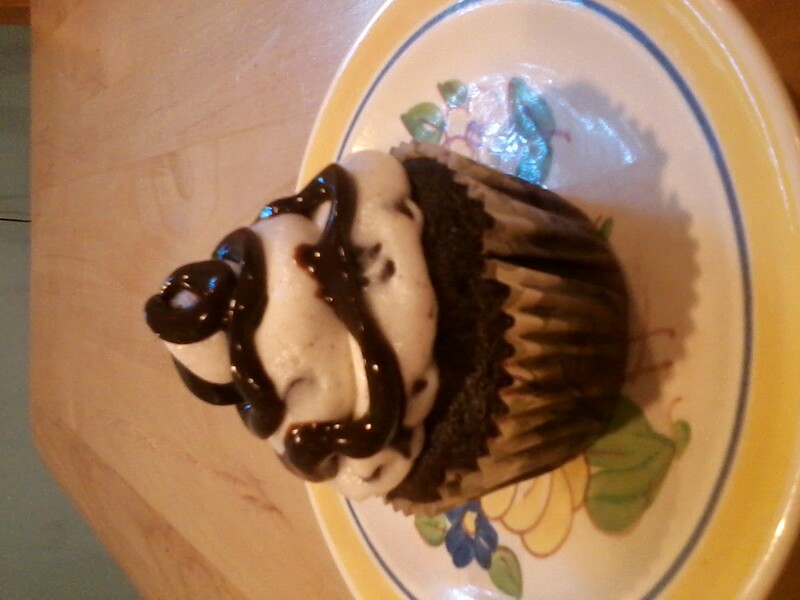 The cannoli filling and frosting is on top, and then I used a chocolate ganache drizzle to make it pretty. This recipe is one of my own devising. This recipe I found online and consists of chocolate cake, cheese cake center, cream cheese frosting and cherry pie filling. 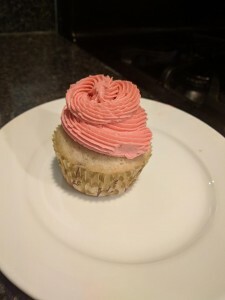 It was OK, but not that memorable of a cupcake. 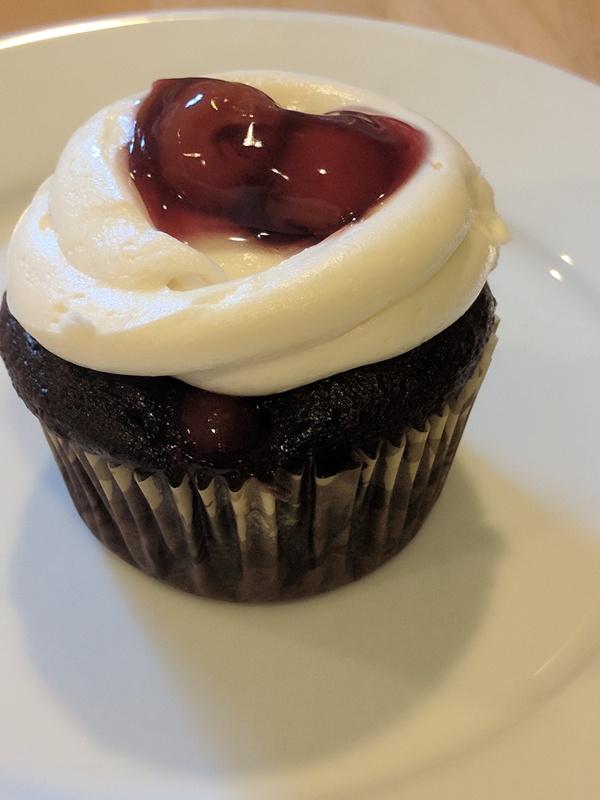 I can do better with the chocolate/cherry combination. This is a cupcake that is remembered and talked about. It is better without the bourbon though, substituting 1/2 cup coffee and 1/2 cup buttermilk. It is a chocolate cake with pecan pie filling and a butter pecan frosting. 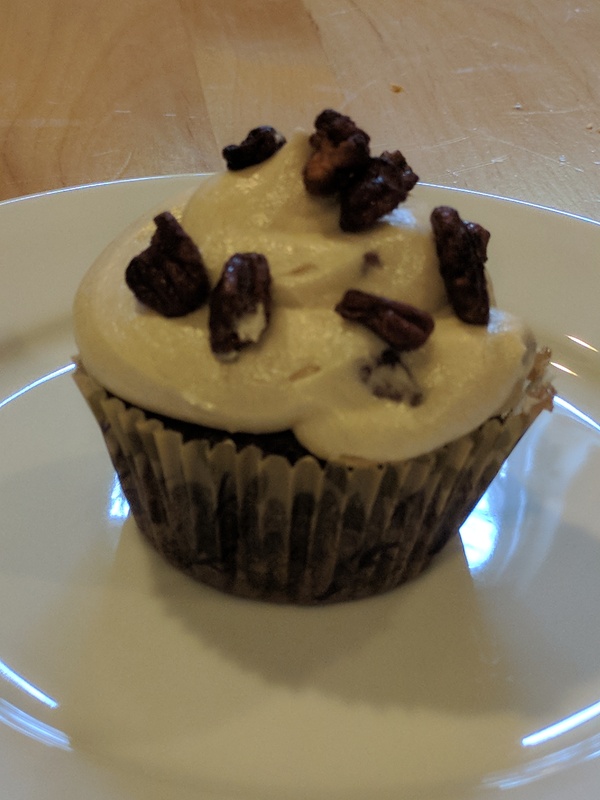 This cupcake taught me two new skills, which is kind of the point of this whole exercise: pecan pie filling and butter pecan frosting. For my birthday I decided to make the two flavors that I thought I would love the most. So I made Lemon Raspberry and Chocolate Chip Cookie dough. 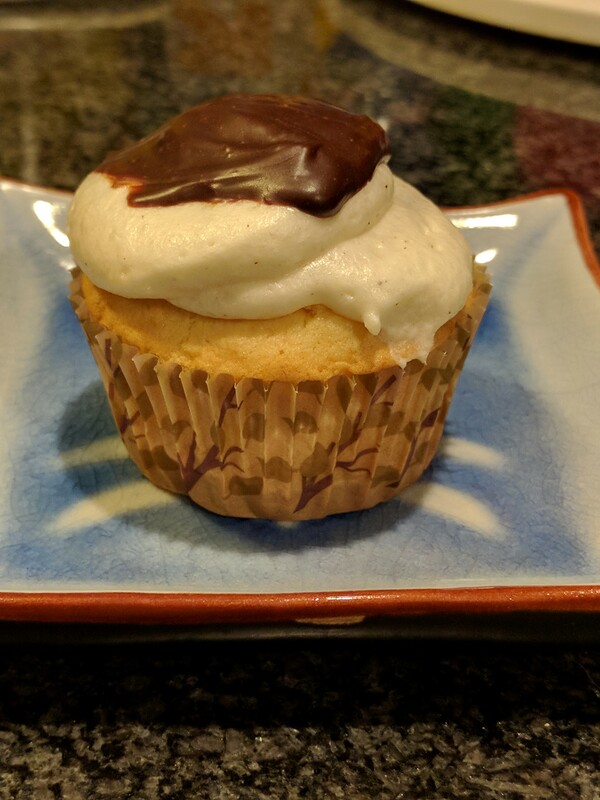 Then the excitement got hold of me and I also made Cannoli Stuffed cupcakes. 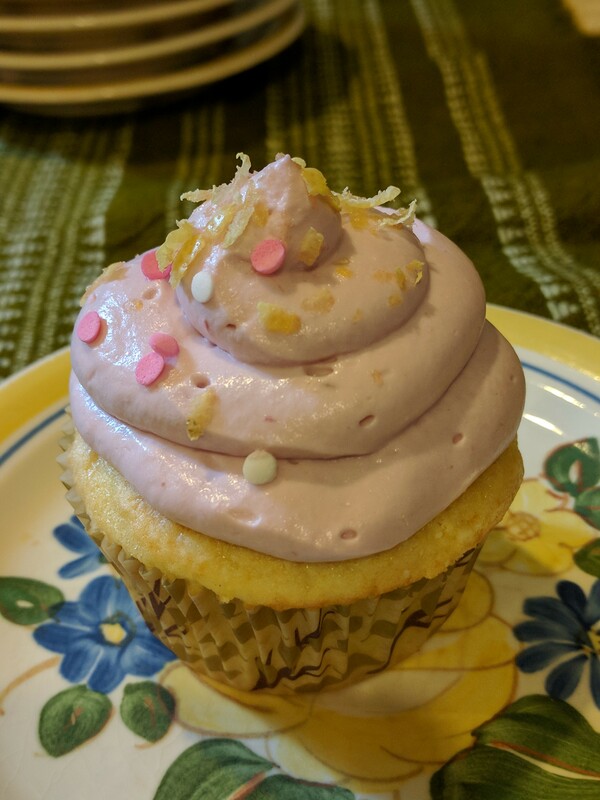 I used a lemon cake box mix, and added zest of two lemons. Then after baking I filled the cupcake with raspberry jam and then made a lemon raspberry whipped cream frosting. To make the frosting shelf stable I added a bit of gelatin (google how to stabilize whipped cream) and it worked great! 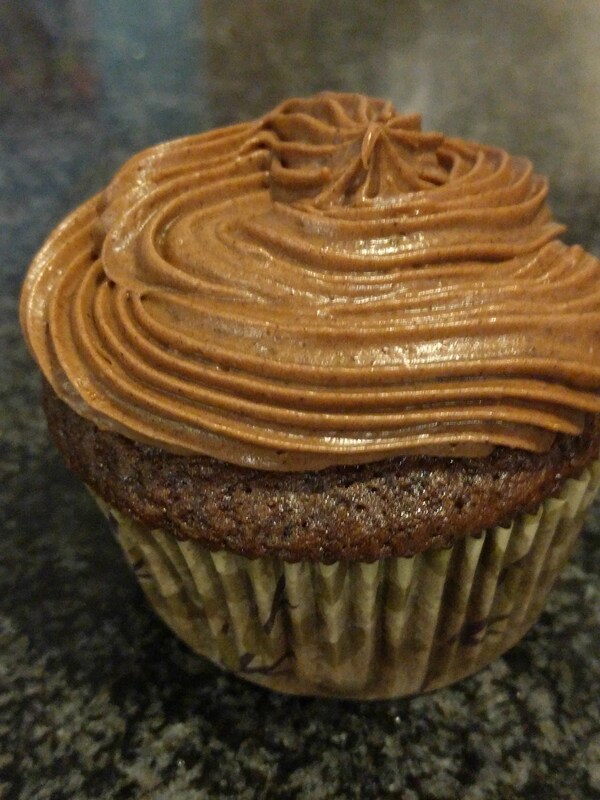 This frosting can’t be frozen though, so don’t pop these in the freezer. For this cupcake I found the recipe online, but it talked about using real cookie dough, which have eggs in it, and as raw eggs are bad for you, all sorts of warnings about consuming raw cookie dough. Since I make a cookie dough truffle, I just used that recipe, making sure it was moist enough to still be moist after baking. 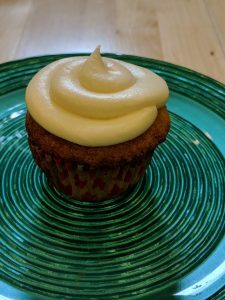 I also found a cream cheese cookie dough frosting recipe for a cheese cake that I swapped in for this. 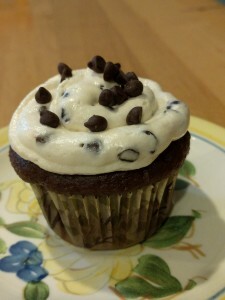 So there you go, chocolate cupcakes with cookie dough center and cream cheese chocolate chip cookie dough frosting. 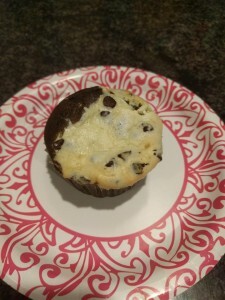 I found this recipe online also. It is OK, but the cannoli frosting isn’t anything special. 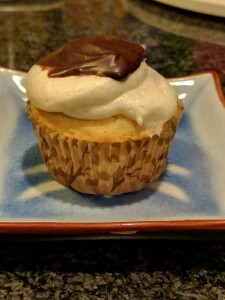 The recipe I found suggested yellow cake, but in a later version (September) I swapped in chocolate cake and drizzled the ganache instead of making it a lump on top. 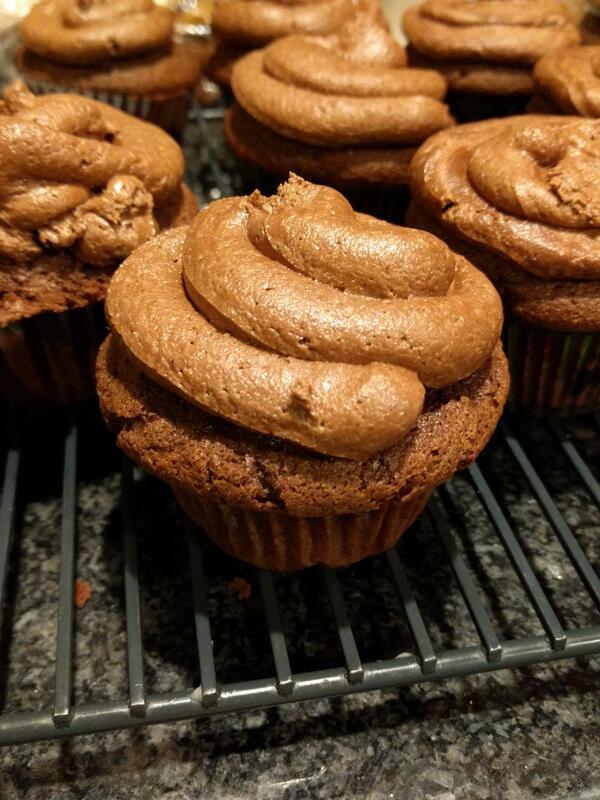 Do your cupcakes spread out all over top of the pan and don’t dome? Are they dry? 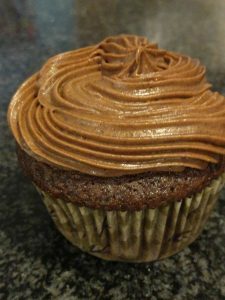 Here is how to make the perfect, domed, moist cupcake. Don’t over mix. Barely mix enough to incorporate the ingredients. Most boxes ask you to mix on medium for 2-3 minutes. This is over mixing the ingredients. Pre-heat the oven to 400 degrees and bake for 5 min. After 5 minutes, reduce the heat to 350 for the remainder of the time. Don’t over bake. If you use the method above, reduce over all time by 2-3 min, and check often. You can always bake something more, but can’t bake something less. Don’t want the cupcake to stick to the wrapper? After 2 min, or as fast as you can, remove from the tin and cool on a wire rack. 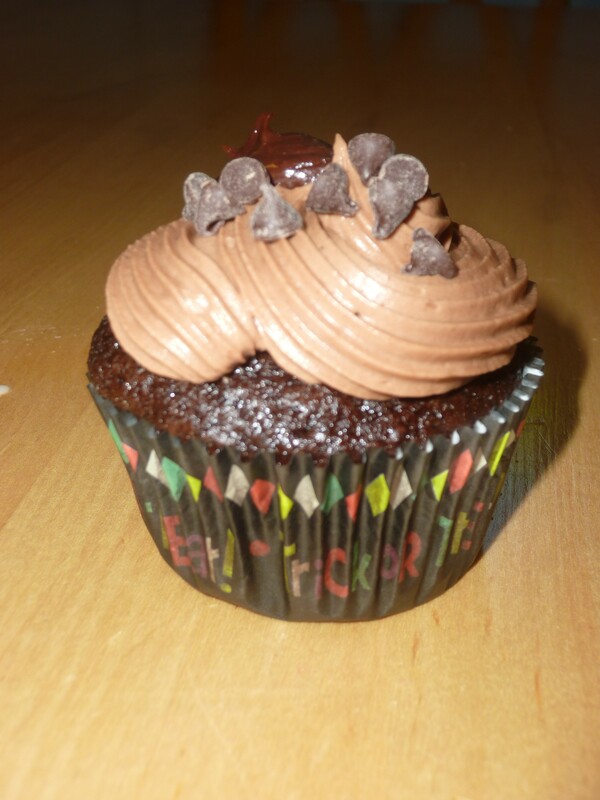 The tin traps in steam and makes your cupcakes stick. I often get obsessed about making something— the perfect sourdough pizza crust? The best sourdough bread? Bring it on cinnamon raisin swirl. 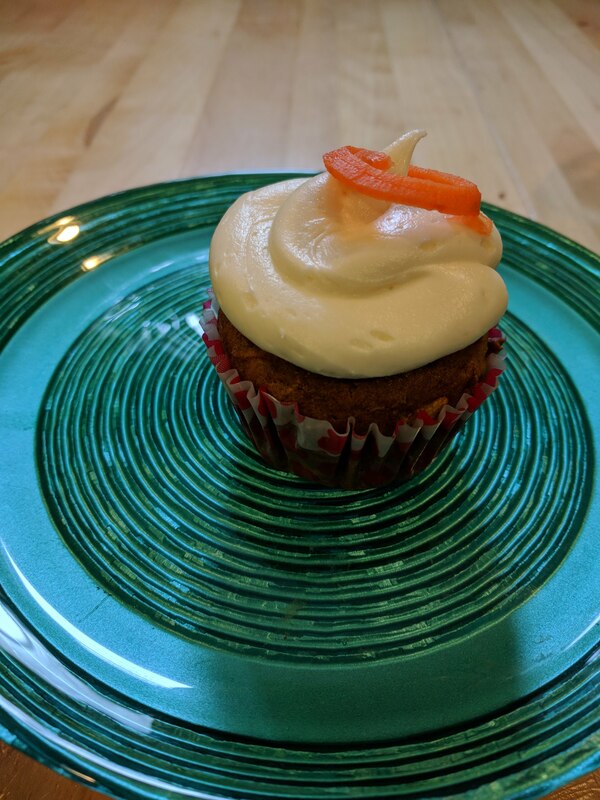 This year, for my 38th year on the planet I am declaring it The Year of the Cupcake. 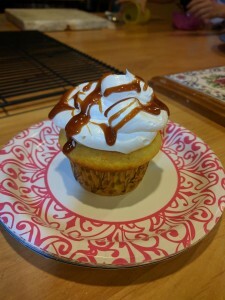 Each month from August to July I will make 2 to 3 different cupcake recipes, some found, some created. 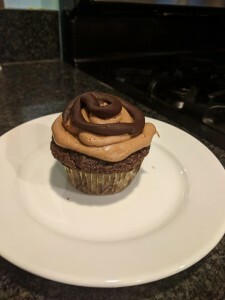 So here come the year of the cupcake posts!